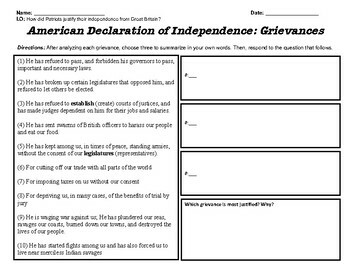 Use this worksheet to guide students to analyze key components of the Declaration of Independence. 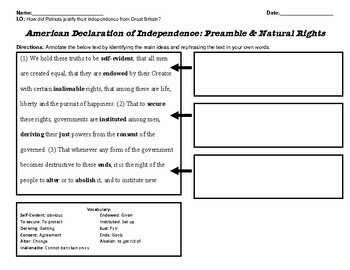 There is a modified version included, as well as a key vocabulary words defined. 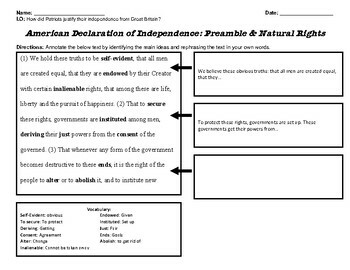 This set focuses on the Preamble and the set of grievances.